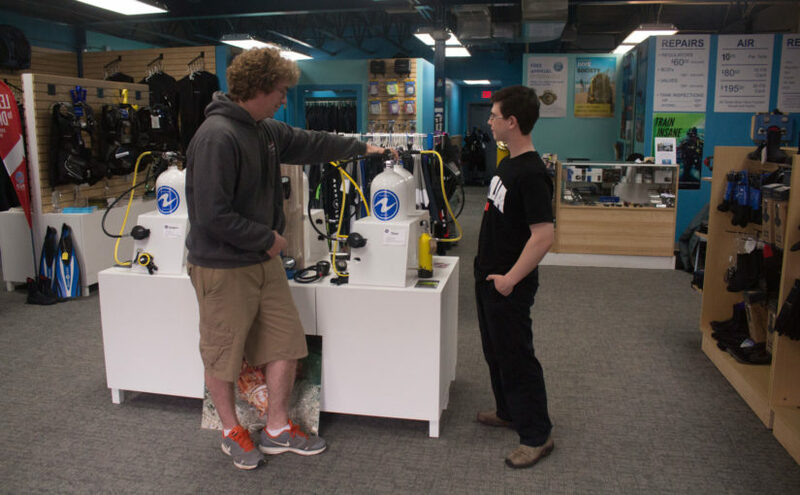 The next few days I worked at Undersea divers in Danvers with Shaun McGuire. The shop that donated my equipment to me. I found it pretty fun to stamp prices on products, line them up along the walls and go through inventory. I even got to help customers try on boots, hoods, and gloves. It was really fun to watch all the colorful customers come into the shop. Thanks to Whitney and Shawn at Undersea divers.